Adjustable sleeve is 11-inches in length with many diameter sizes from which to choose. 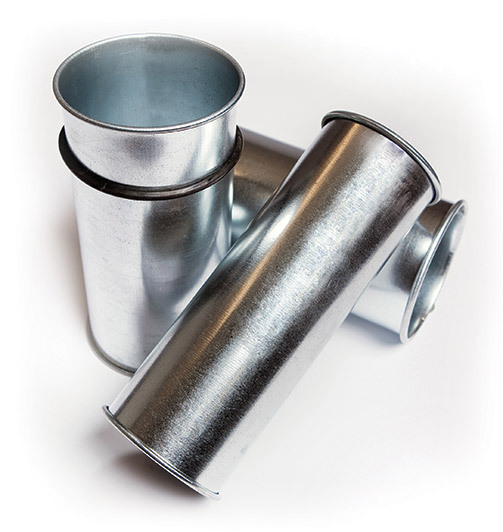 Galvanized steel sleeve can work as a sliding access panel for entry from a laser cut opening to the interior of the ductwork. It is also used to make easy and quick field adjustments. Sleeves are held in place using Snap It Clamps.